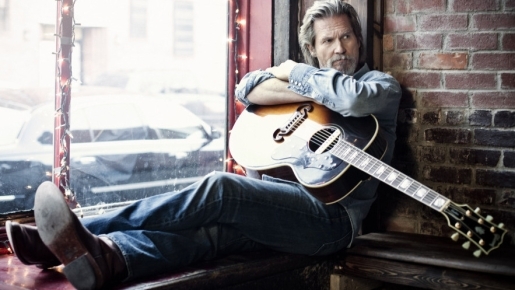 Jeff Bridges, the unlikely country music star. When Jeff Bridges got to play the role of Bad Blake in the Oscar-winning 2009 film Crazy Heart, he wasn’t just taking another role in a film career full of iconic work, nor was he simply paying homage to mentor and country legend Stephen Bruton (who co-wrote the original songs for the film with super-producer T-Bone Burnett and Ryan Bingham). Jeff Bridges was living out a dream, you see. Bridges nearly gave up acting in his younger days to become a full-time musician, has a notebook full of songs dating back 30 years ago, and has always wanted to be in music. Now, Jeff Bridges is getting his chance to be a real-life country musician. Jeff Bridges’ debut country album, Jeff Bridges, drops on August 16 via Blue Note Records. This is going to go much further than Gwyneth Paltrow’s country career, if only because Bridges has the blessing of Bruton and the production prowess of T-Bone Burnett, a man who revitalized bluegrass music and who has established himself as a legitimate country music legend. As for Bridges, I think he can do country music justice. You don’t need a good voice to do real country, and given that his record is coming out on Blue Note (which is as far from Nashville as you can get), I’ve got high hopes for the man formerly known as The Dude. If YOU need reassurance, just check out this clip of Bridges performing “The Weary Kind” from Crazy Heart.